In an effort to cut down on postage, HM Revenue & Customs have decided to move closer to where the UK’s richest claim to live – the Cayman Islands, Bermuda and Chipping Norton. Disclosure that billions of untaxed revenue has been channelled to Panama reminds us of Matthew 19:24: ‘It is easier for a canal to go through Panama, then for a rich person to pass through without opening an account’. Papers released by German newspaper Suddeutsche Zeitung show that the Amazon is not the only South American name associated with tax avoidance. The investigation surrounds ‘Mossack Fonseca’; which sound less like a law firm and more like a tennis player who gets knocked out of the third round of the Australian Open, in straight sets. Although not surprising that the uber-rich choose not to pay tax, it is remarkable that they got caught. A spokeswoman for HRMC explained: ‘By having a closer proximity to the epicentre of corruption we can monitor savings more closely – but it also means the view from my office window is substantially sunnier’. Other Government departments may also move nearer their clientele; with the Ministry of Defence considering putting bases on every Middle Eastern oil-field. 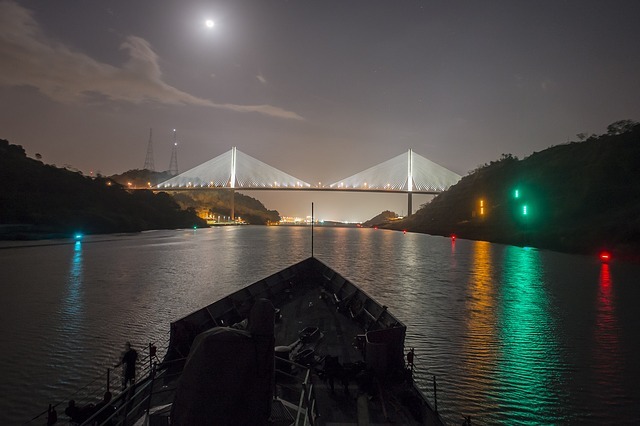 Views on Google Earth show that Panama’s canal now resembles a never-ending revenue stream. Over 15,000 ships pass through every year, each filled with accountancy firms and Starbucks executives. The spokeswoman confirmed: ‘Historically Central America is often associated with US Black Ops, drug cartels and coups – but now we can look back at those as the good old days’. This entry was posted on April 18, 2016 by Wrenfoe in International Business and tagged Comedy News, Flibbertigibbet, Google, HMRC, panama, Satire, Tax, tax haven.